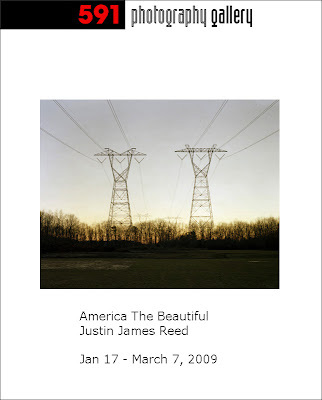 The exhibition America The Beautiful is a blend of pictures from two of Justin's projects; "South Philadelphia" and "Westwards". 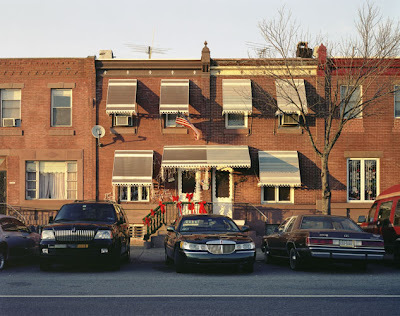 His photos of people of South Philadelphia got my attention, I saw a photographer interacting with the people he portrays - no haze or doubt, very distinct. Exploring further the photography of Justin James Reed, I realized that he easily finds his way with other motifs too, like landscapes, architecture etc. I wanted to show that part of him as well, so we worked out this combination from two different series. Okay, it looks like I was able to name a lot of them!! Arthur Russell "World of Echo"
Nine Inch Nails "The Slip"
Talking Heads "Sand In the Vasaline"
The Notwist "The Devil, You + Me"
John Steinbeck "Travels With Charley"
Robert Adams "Beauty In Photography"
Film, digital or both: For my personal work, Film always. Although I do dabble in digital for side projects from time to time. A wonderful, insightful way to show this part of America! Excellent series! I also enjoyed your website. I have looked at your photos over and over again Justin - and your work is really excellent. It is a treat to see the colour prints, so unusual these days. You give us a pesonal and original view from America- probably unknown to many people. Thanks! The day time stood still in America. Classic and beautiful documentary work. I love it! Very interesting, Justin! I have a special feeling of wires, cables and lines. The energy...or the graphics?